Disney is to make a new series of 'Star Wars' films after agreeing a deal to buy Lucasfilm from its founder George Lucas. The entertainment multinational - which already owns Pixar, Marvel, ESPN and ABC - has announced it is paying $4.05 billion (£2.52 billion) for the production company and has confirmed it is to make 'Star Wars Episode VII', with a 2015 release date scheduled. Lucas - who created the fictional 'Star Wars' universe which began with the first film, 'Star Wars Episode IV: A New Hope', in 1977 - will become the second-largest individual holder of Disney shares, with a 2.2 per cent stake, and will be the creative consultant on the new films. 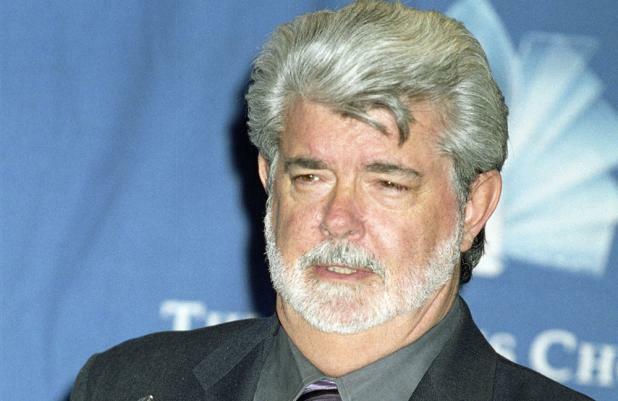 The 68-year-old filmmaker made the decision to sell Lucasfilm because he felt it was time to retire from the day-to-day running of the company and he wants the 'Star Wars' franchise - which comprises of six movies and spin-off cartoons - to continue after his death. In a statement, he said: "For the past 35 years, one of my greatest pleasures has been to see 'Star Wars' passed from one generation to the next. "It's now time for me to pass 'Star Wars' on to a new generation of filmmakers. I've always believed that 'Star Wars' could live beyond me, and I thought it was important to set up the transition during my lifetime." Disney's chief executive Bob Iger is delighted with deal and believes the company can make films worthy of the series' legacy. Iger said: "The last 'Star Wars' movie release was 2005's 'Revenge of the Sith', and we believe there's substantial pent-up demand. This transaction combines a world-class portfolio of content including 'Star Wars', one of the greatest family entertainment franchises of all time, with Disney's unique and unparalleled creativity." The deal also includes the rights to the Indiana Jones franchise - in which Harrison Ford plays the daredevil archaeologist - however Disney did not reveal any plans to revive the series at this time.